Shopping in Buenos Aires is an adventure nearly equivalent to climbing a Patagonia peak. You need resources, a good map and if possible, a guide. The benefits of a personal shopper are various—they can find you what you want and fast, they can ward off the very pesky sales clerks who pour on the pressure and steer you to unique, authentic, high quality items. Planning your trip to Argentina?? Now that you have downloaded your free Nightlife or Family Guide, you are probably dreaming of the perfect place to stay during your adventure. More and more travelers are choosing the ease of renting an apartment during their stay, especially in the bustle of Buenos Aires. An apartment offers all the conveniences of a hotel but with less cost, the freedom to cook and the chance to stay in an authentic location complete with colonial architecture. It’s important, however, to CHOOSE an Apartment with CARE. Why? Because this is your dream trip to Argentina. Where you stay is crucial to your trip. Thanks to the number of our visitors who download our ATG Nightlife Pocket Guide every day, we know you all like to party! 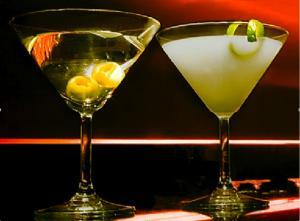 In honor of all of you, we are happy to present our online Buenos Aires Nightlife Guidebook. The guidebook features more than 50 bars and clubs to keep you out past sunrise in this city that loves to party. Juan Carlos sets up the asado. 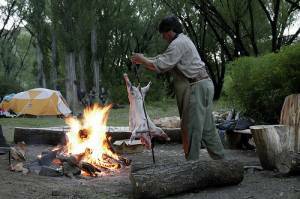 Estancias are a great way to explore the heart of Argentina’s criollo culture. Whether it’s riding with gauchos, Argentina’s tough cowboys on a working ranch, or chowing down on a traditional asado, the ranches offer a view into the country’s past and future. This page rendered in 0.831 seconds.